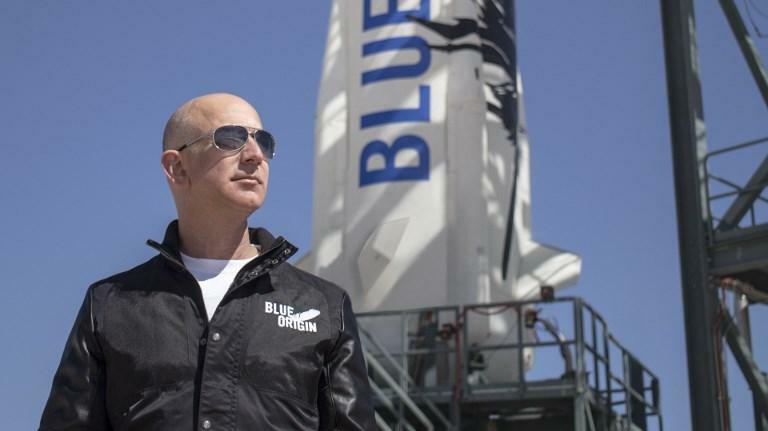 SEATTLE: Jeff Bezos’ rocket company plans to charge passengers about $200,000 to $300,000 for its first trips into space next year, two people familiar with its plans told Reuters. Executives at the company, started by Amazon.com Inc. founder Bezos in 2000, told a business conference last month they planned test flights with passengers on the New Shepard soon, and to start selling tickets next year. The capsule features six observation windows Blue Origin says are nearly three times as tall as those on a Boeing Co. 747 jetliner. The company will do the first test in space of its capsule escape system, which propels the crew to safety should the booster explode, “within weeks,” one of the employees said. Blue Origin, whose Latin motto means “step by step, ferociously,” is working toward making civilian space flight an important niche in the global space economy, alongside satellite services and government exploration projects, already worth over $300 billion a year.